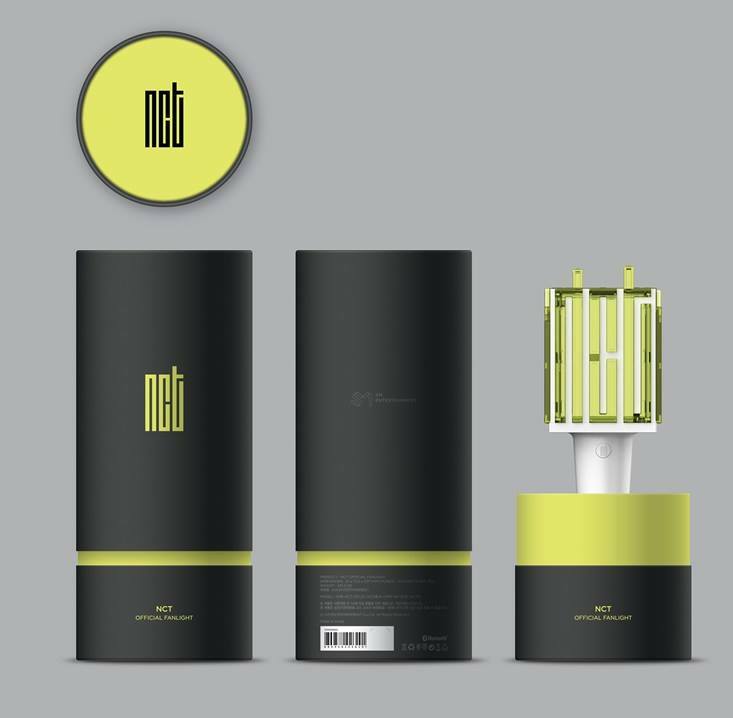 NCT recently released the sale of their official lightstick and many fans are loving it! However, one fan took many by surprise when she uploaded this picture of her lightstick.  She was asking if anyone knew what was wrong with her lightstick as it did not look quite similar to the official picture. She was also wondering if she had received a faulty lightstick. 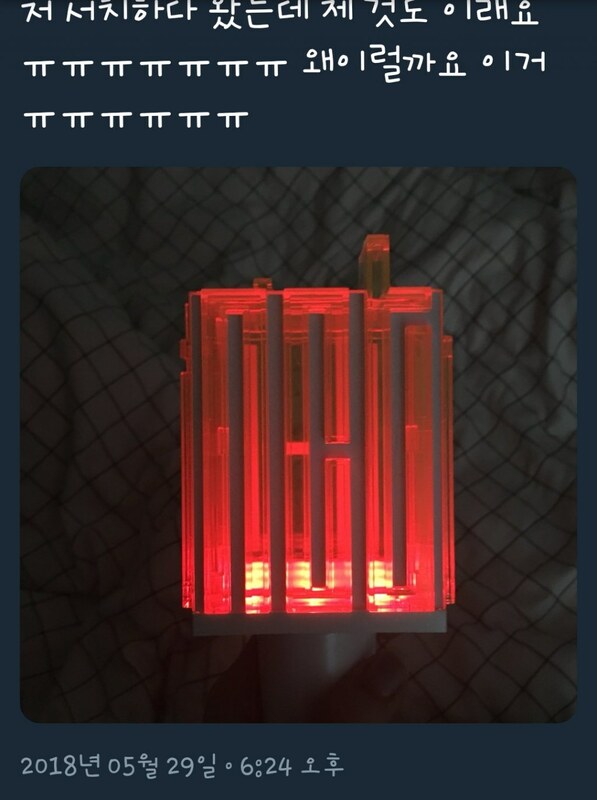 It seems like her lightstick gave off red light instead of green light! She was not the only one! Apparently, the same thing had happened to another fan. 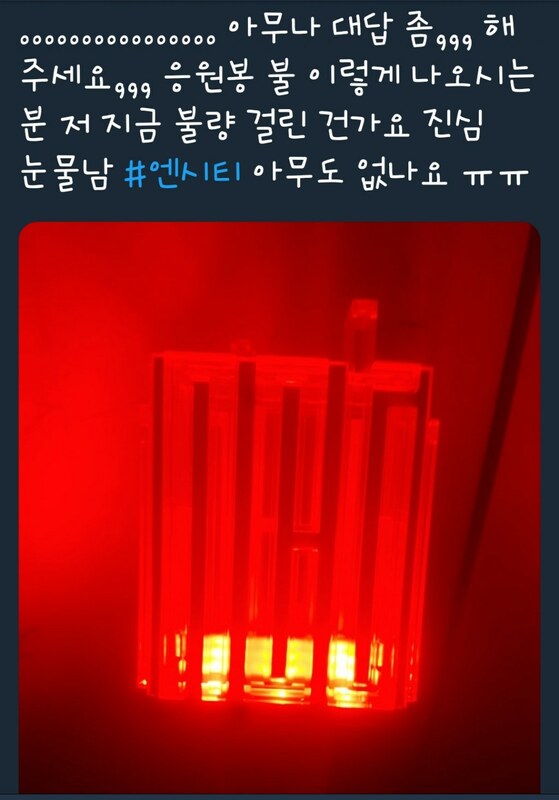 Those who had seen the photos also commented that it is possible for the lightstick to change into red light when the battery is low. 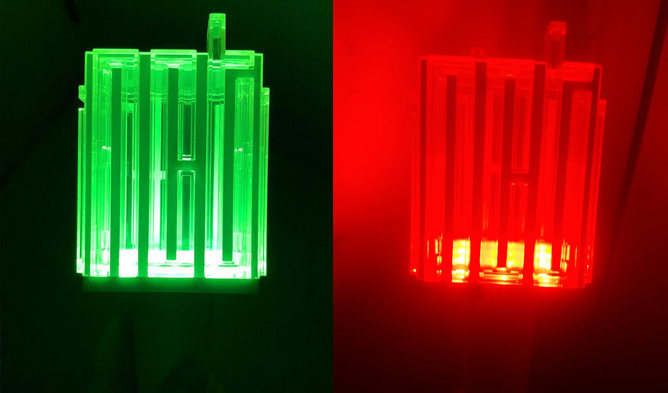 However the fan also commented that when she shook her lightstick, it suddenly changed to the original green light. As of now, no one actually knows what the problem actually is. Hopefully the fans could get an answer soon!